Eye: A dark amber color that indicates its age. Nose: This exquisite and mature Hors d’Age Cognac boasts the luxurious aromas of the Grande Champagne. Its bouquet offers a perfect balance between fruit, flowers, and spices. It is a beautiful blend of earthy, wintery notes and light, summery ones. 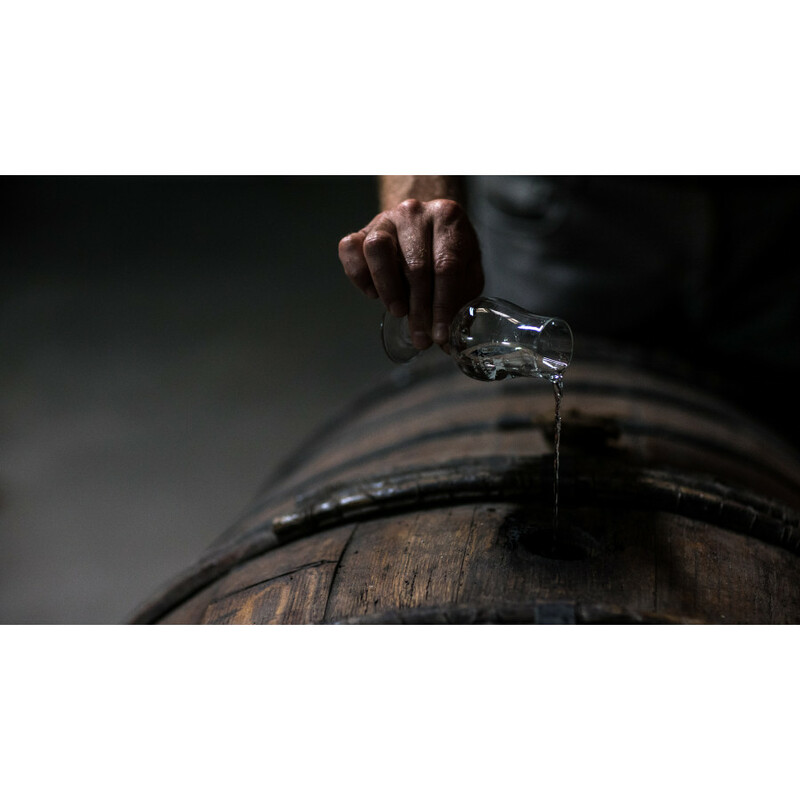 Palate: On the palate, you first experience a powerful, rich, almost buttery taste–typical for the Grande Champagne Cognac. Bache Gabrielsen Hors d’Age has an unmistakable cinnamon finish, complemented with hints of nutmeg and red fruit. 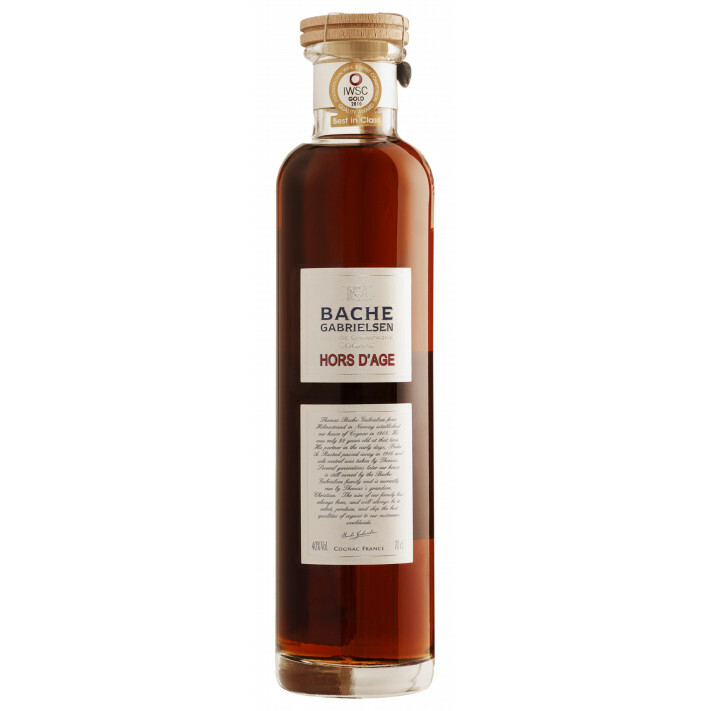 The Bache Gabrielsen Hors d’Age is a high-end Cognac from the Grande Champagne terroir, and considered to be the “pièce de résistance” of their selection. It consists of a mix between the Ugni Blanc and of the rare Folle Blanche grape, and is exclusively cultivated in the Grande Champagne growing area. The dark amber liquid mirrors its age; the Hors d’Age is a blend made up of eaux-de-vie that has been aged in Limousin oak barrels between 50 and 70 years. 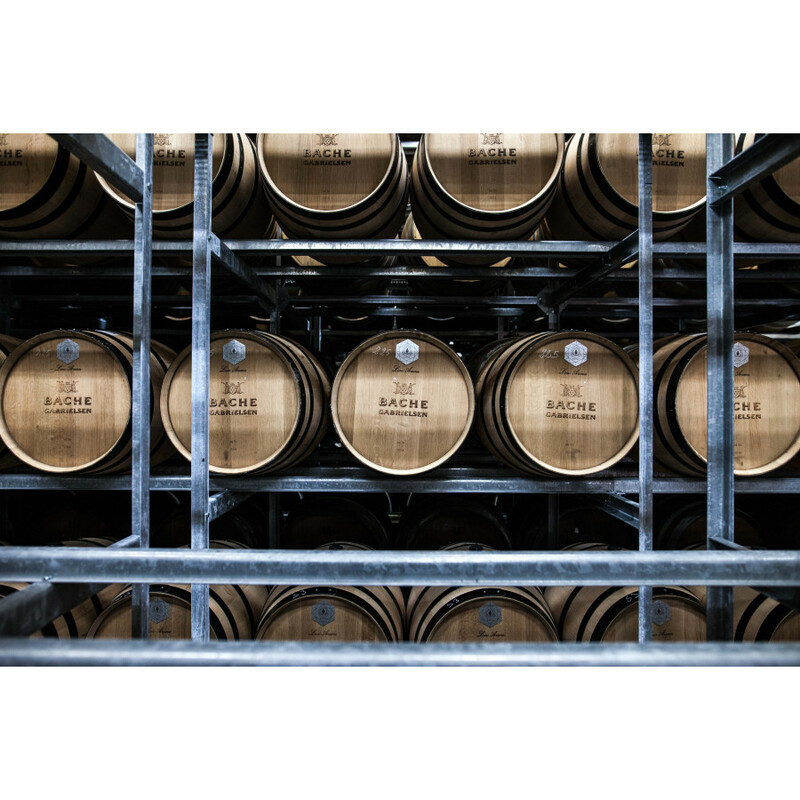 The oak barrels give Cognac its full spice experience, and Bache-Gabrielsen use only the best. The oldest eaux-de-vie in the blend reaches back all the way to 1917, and the youngest to around 1960; this is undeniably reflected in the quality of the blend itself. It is a rich Cognac with plenty to show off about, and comprises the best elements of fine Premier Cru produce, such as its long finish. The Hors d’Age is a work of art that is only available for this limited period only, and would make a wonderful gift in its stylish box. The slender 0,7l bottle is presented in a crafted wooden box that seems to be inspired by Scandinavian furniture design. It reflects the modern philosophy of the Cognac house; always putting quality first, and never failing to be style conscious. 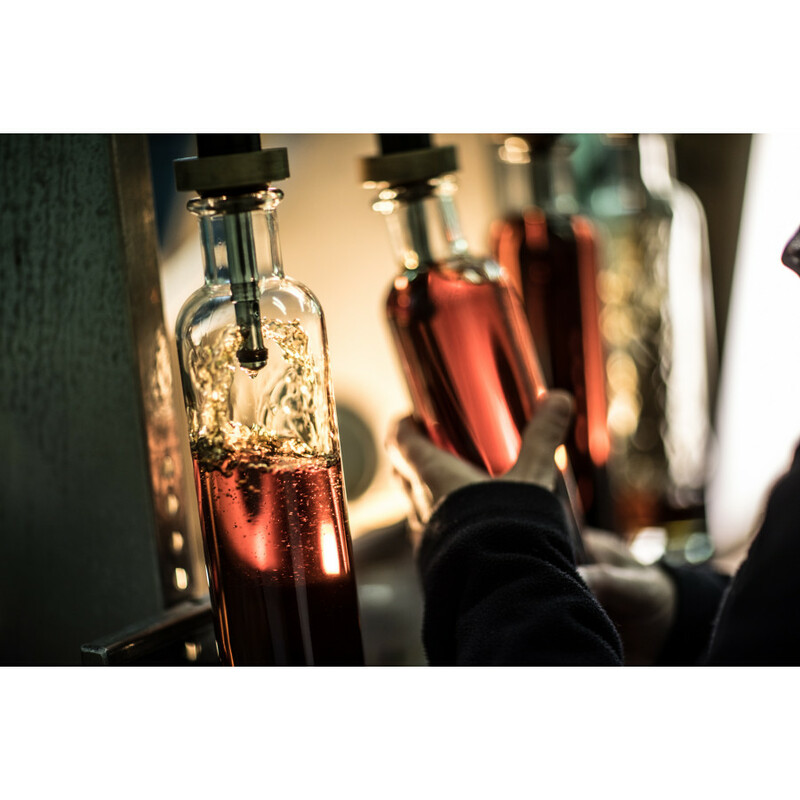 Read our blog to discover more about the wonders of this Cognac estate, and their recently announced new distillery location. A great Hors d'Age that used to be cheaper! 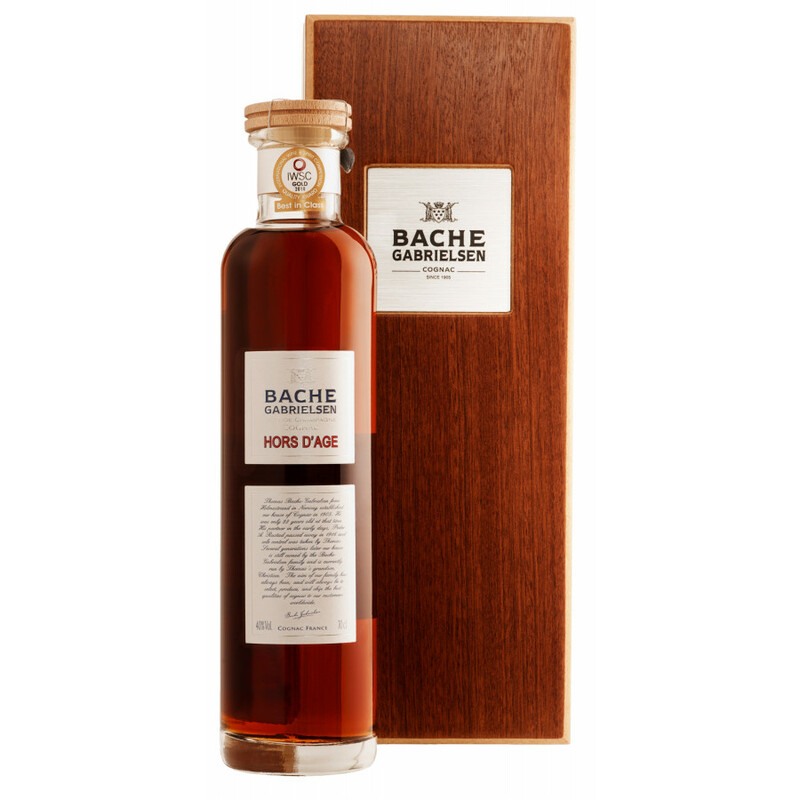 Bache Gabrielsen Horsdage is a great cognac, and very good value for money (it was even cheaper in the past.. they somehow now upped the price because the demand is so high I assume).. in a beautiful wooden box. The only downer is that the wooden box often gets damaged during transport for a reason.. but hey, it's the bottle that counts. Great palate, beautiful nose. Appearance: Brown amber color with a rich viscosity. Nose: Initial fragrance of waffles smothered with butter and maple syrup, the waffles then give way to fruit notes of raspberry sauce and dried mission figs.Flavor: The initial attack comes on very strong with flavors of honey and French oak, as the alcohol spiked the honey and oak give way to forest floor flavors of truffle and earth. On the long, smooth finish, the oak comes back, this time accompanied by the raspberry sauce detected on the nose. Overall Impression: For a blend of eaux-de-vie that are 50 to 100 years old I was hoping that the transition of flavors would be a little smoother, but for $200 you are definitely getting a lot of bang for your buck. This blend is for a cognac drinker who wants to smell and taste the cellar vs. the vineyard. Excellent cognac, my wife received a bottle for Christmas from our son and tried it for the first time in today. Very well done House of Gabrielsen. You can feel the wood, smell the nuts. Beautiful dark colour - a great Hors D'Age cognac, from Bache Gabrielsen. It's true, this cognac has a fantastic balance. And the price of under 100 € (really?) is very good. Some say it's one of the best cognacs in the world, especially our Norwegian friends, of course..